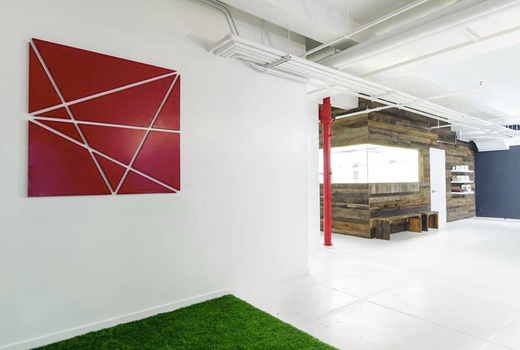 Called "New York City's first luxury Bikram studio" by Well+Good, Yoga & Fitness Herald Square is a top-of-the-line, 5,000 square foot sanctuary dedicated to healing, health, and rejuvenation. Grab your $45 pulse (a $109 value) for 5 Classes, and take your pick of eight specialized Hot Yoga and Hot Pilates classes. From the ultra-detoxifying Bikram Beats to the sculpting Pilates Fusion, you'll be able to find the movement style to meet your fitness needs. Next up, the $89 pulse (a $29 value) gives you 10 Classes. You'll sweat it out under the state-of-the-art infrared lights that promote lymphatic drainage, reduce anxiety & depression, and boost your immune system - all while you lose weight and build lean muscles. 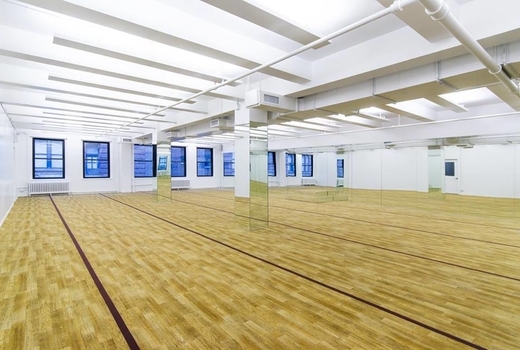 With incredible reviews and a selection of the city's top instructors, Yoga & Fitness Herald Square is New York's premier studio for hot yoga and Pilates modalities. The studio's founder Gregory Weglarski, is a former architect who designed the studio himself with serenity in mind. 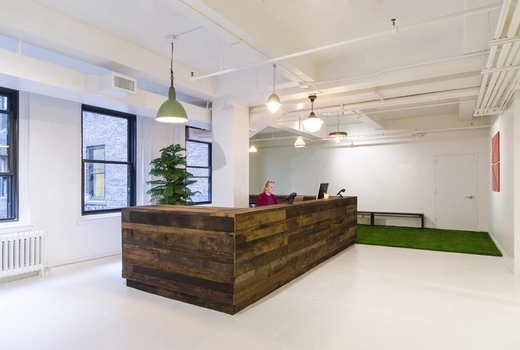 The Architecture Digest worthy interior boasts antimicrobial Flotex floor, reclaimed barn wood from Kentucky, and a grass carpet in the rest area that invites you to kick off your shoes and rehydrate after a calorie-torching session. Inside the studio, highly knowledgeable and engaging teachers (including two World Yoga Champions) lead you through heart-pumping yoga, Pilates, or barre classes. Whether you need a cardio, strength, or restorative workout, you'll leave feeling strong and balanced from inside out. Ready to live your best life? Yoga & Fitness Herald Square is where you'll clarify your body and renew your spirit! Take your pick from 50+ weekly classes, offered 7 days a week. You may view the full schedule here. "This is probably one of my favorite studios in NYC - the instructors are all super knowledgeable, supportive and FRIENDLY! I am grateful to have found this enchanting magical realm in this busy city." "Amazing. Love this place so much. I had such a great time. I took the hot room Pilates class and am still on cloud 9 from the experience. I am addicted. Can't wait to go back. Nice and clean facilty. I was welcomed and treated with courtesy and respect. Love it." May purchase 1 voucher for personal use and unlimited vouchers for gifting. 5 Pack expires within 30 days of activation; 10 Pack expires within 90 days of activation. New clients only. Expires Friday June 21, 2019. Voucher must be activated by this date.